I have three fly-in missions in mind once more hospitable weather returns. If I can pull off even one of them this spring/summer/fall, I’ll be insanely delighted. 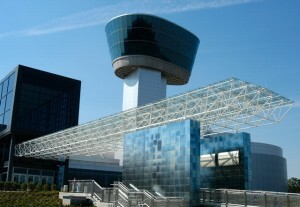 The Smithsonian National Air and Space Museum’s Udvar-Hazy Center, at Washington’s Dulles International Airport (KIAD). The National Museum of the U.S. Airforce, located in Dayton, Ohio. And Lambeau Field in Green Bay, Wisconsin, in order to see the Packers (naturally) play. I’ll start at the top. I have been to Washington several times, both as a tourist and for work, and have visited the Smithsonian aviation museum at the National Mall. It’s only magnificent, and includes aircraft from seminal moments in aviation history, including the original Wright 1903 Flyer, the Spirit of St. Louis, and the Apollo 11 command module. Want to touch a rock from the moon? You can do it there. Hard to top. The Smithsonian National Air and Space Museum’s Udvar-Hazy Center. Photo courtesy of the Smithsonian. But I’m willing to wager that the Smithsonian’s Udvar-Hazy Center, which opened in 2003, is indeed a topper and more. It was constructed to house all the other sensational aircraft the Smithsonian had in its collection and couldn’t display because it didn’t have room. The Udvar-Hazy Center was designed to fix that, with more than 350,000 square feet of display space. It’s 10 stories high and has 169 aircraft on site. There are plans under way to double its size. I became interested in visiting last year, when my employer gave me a beautiful coffee-table book about it — The Nation’s Hangar — as a gift. The plan — it’s his fault, after all — is to drag him there with me. Negotiating the airspace in the D.C. area, will be, no doubt, a terrific learning experience. The area is protected by an Air Defence Identification Zone (ADIZ) and a flight plan is a must. One-way from my home airport: 325 nm, estimated en route in a 172: 3 hours. The National Museum of the U.S. Air Force. Photo courtesy of the U.S. Air Force. 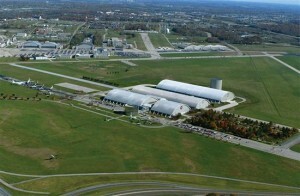 The second destination, the U.S. Air Force Museum, is located on the grounds of Wright-Patterson Air Force Base in Dayton. It has 17 acres of display space and more than 360 of what it terms “aerospace vehicles and missiles.” Ok. Yum. Apparently private aircraft aren’t allowed to land at the air force base, so it’s necessary to fly into Dayton International (KDAY) and then get a taxi. One-way from my home airport: 294 nm, estimated en route in a 172: 3 hours. Lambeau Field, home of the Green Bay Packers. Photo courtesy of the Packers. The final destination, storied Lambeau Field, will be a bit of a project in a 172 given the annoying existence of these large bodies of water called the Great Lakes and the aircraft’s lack of an extra engine. meaning I’d have to plan across the top of Lake Huron and Lake Michigan, and then south into Green Bay. I’d plan early autumn in order to keep odds of good weather in play. It would be, no doubt, a spectacular flight, topped by a date with the Packers. Green Bay’s airport is Austin Straubel International (KGRB). I was amused to discover they have a specific departure procedure for general aviation aircraft on Packers game days. Must be a fair bit of traffic. One-way from my home airport: 463 nm and approximately 5.5 air hours. This entry was posted in Awesome places to visit on January 25, 2013 by Craig Daniels.